With Thanksgiving rapidly approaching next week (seriously, next week?!) 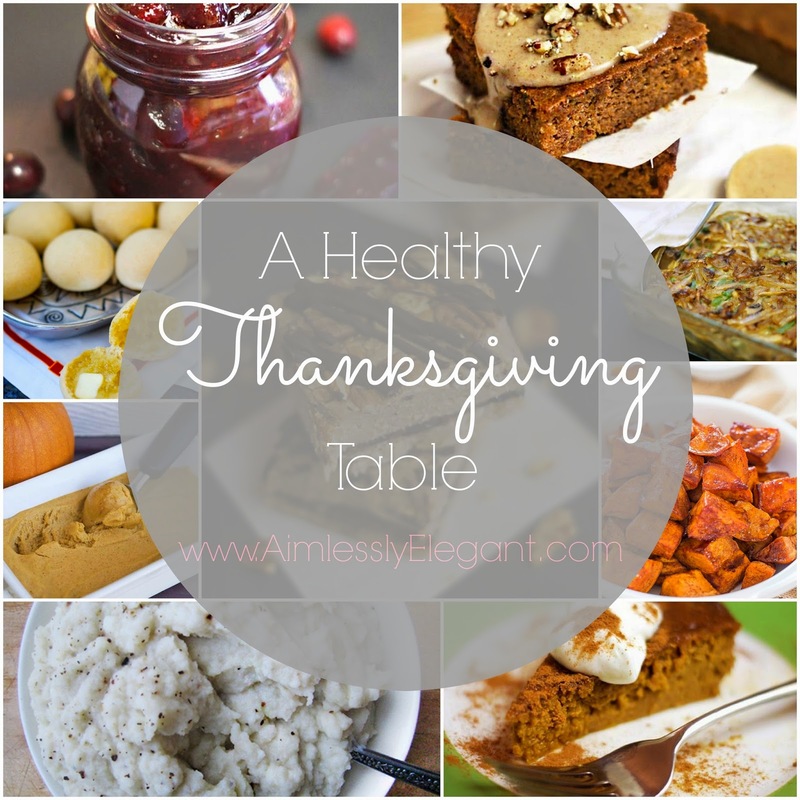 I'm really trying to find ways to blend my focus for a healthier cleaner way of eating with my traditional Thanksgiving favorites. I've found that for me eating more clean and focusing on whole foods, and staying away from gluten, dairy, and refined sugar makes me feel the best. I feel more healthy, energized and more importantly less bloated and gross and just generally uncomfortable. I have recently come to the conclusion that although that certain food may look super appetizing in the moment, it is just not worth the way it will make me feel in the long run. A mindset that I learned last week during the PCOS Diva Jumpstart Program (that I really liked!) is approaching food with an I can eat whatever I want attitude, but I am choosing not to eat that right now. It feels way less restrictive, and way more empowering. I have put together a few healthier alternatives to some of my Thanksgiving table favorites, aside from the Turkey, because that's just a given (and I'm never in charge of that!). Something that is always a must at our Thanksgiving table is the traditional Green Been Casserole. I was excited to stumble upon this from scratch recipe from The Detoxonista. The Detoxonista is one of my favorites go to places for easy recipes that fit within my currently dietary wishes, she has so many great recipes! Side dishes are big at Thanksgiving. I'm convinced that's why we leave the table stuffed, just way too much stuff to eat! Aside from our Green Bean Casserole we usually have some sort of potatoes. 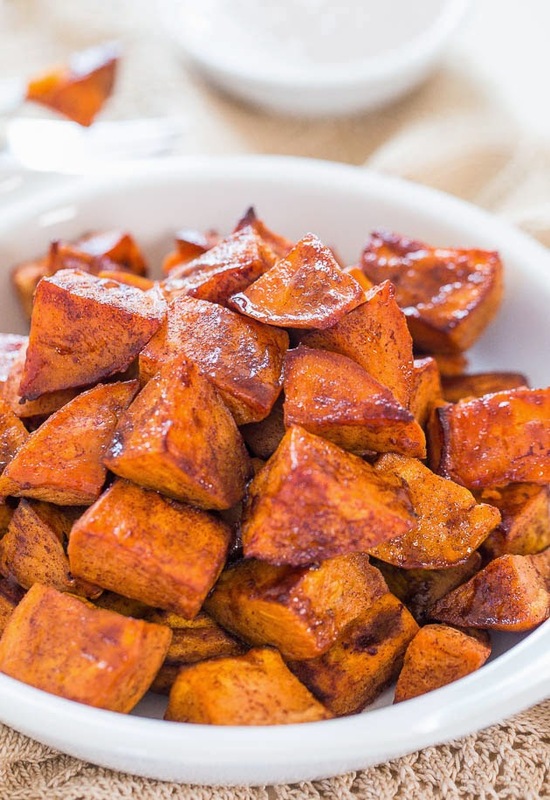 Everybody is my family has different preferences for what kind of potatoes they would pick for Thanksgiving, if it was up to me it would be sweet potatoes all the way. This recipe sounds great with the flavors of honey and cinnamon it almost sounds like a dessert. 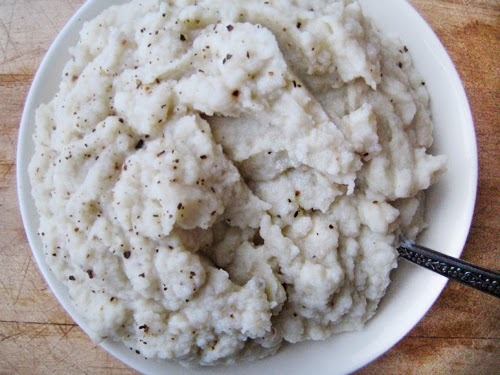 But if more traditional mashed potatoes are up your alley, you could always substitute it with some mashed cauliflower, which is actually quite tasty and helps you to avoid all those extra starches. 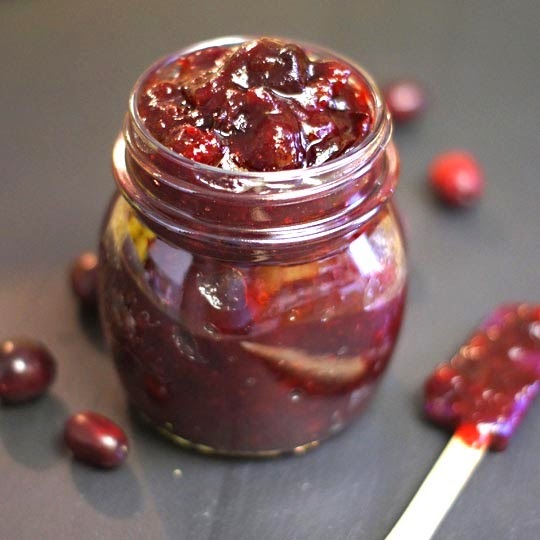 Another staple that is always on our Holiday table is Cranberry Sauce. We've always made it from scratch, but usually it consists of a bag of cranberries boiled with tons of white refined sugar. I'm loving this recipe I found because in place of the sugar it uses maple syrup to cut the bitterness of the berries. No good meal is complete without some sort of good bread, and honestly that is the one thing that I have missed the most. I have been gluten free for a year and a half, and I've been just craving a warm crusty piece of bread with some soft melted butter on it. 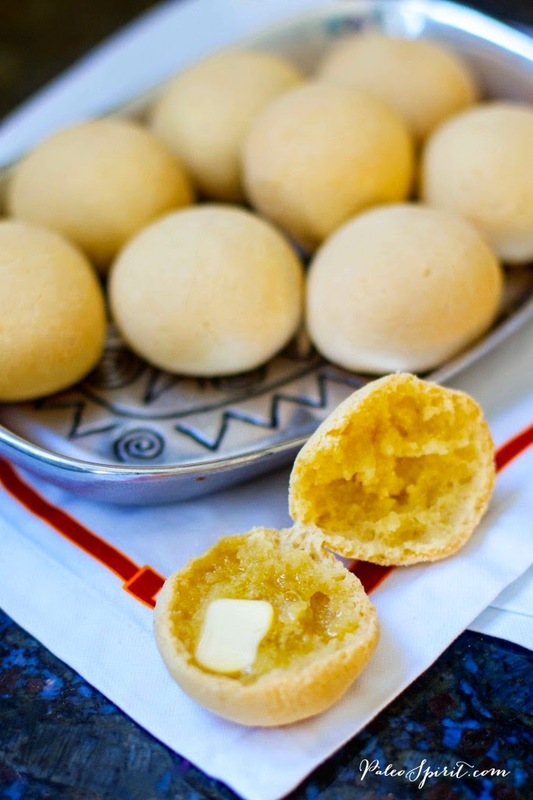 I was excited to find this simple recipe for Paleo Dinner Rolls, hopefully this will satisfy my craving! No good Holiday meal is complete without a selection of a few good desserts. Ok lets be honest, no meal at all is complete without dessert. I have an undying sweet tooth, and all of these delicious treats would fit the bill for me. 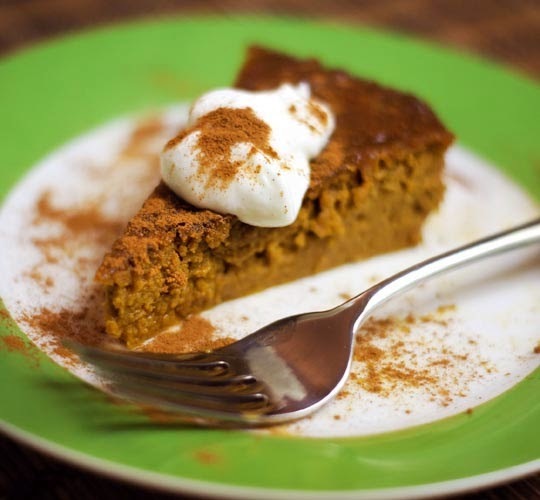 Of course you need a good ole Pumpkin Pie. 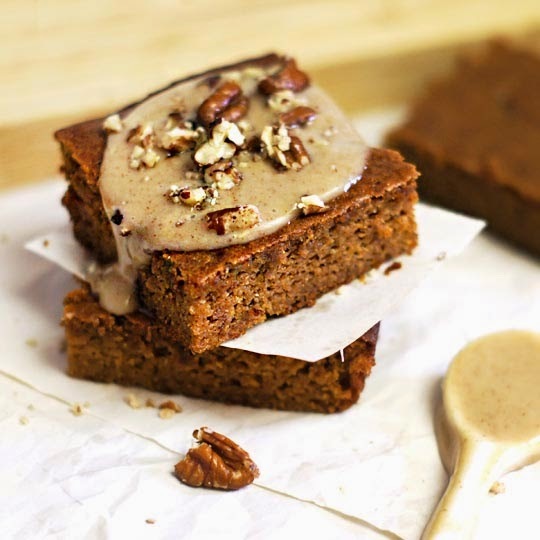 Or you could go the route of these super yummy looking Pumpkin bars, the frosting looks delicious and they are 100% grain free. 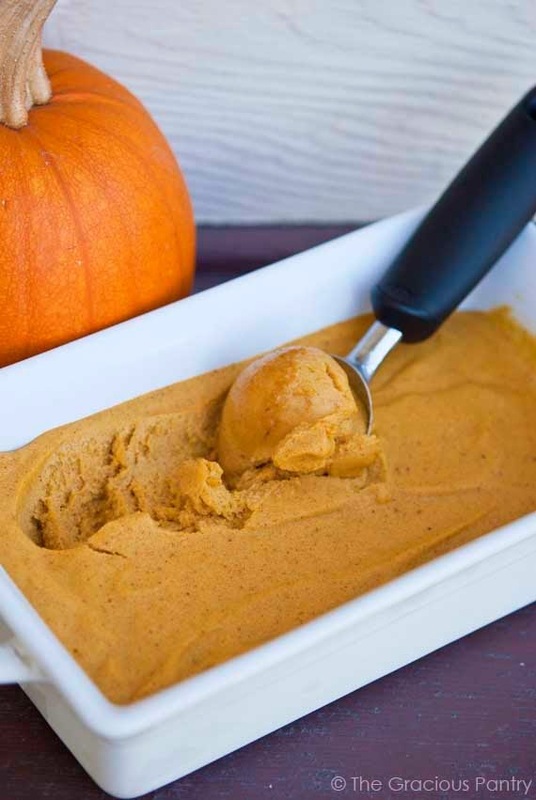 Though if you want to try something different you could go for this Clean Eating Pumpkin Ice cream, it may even make a great accompaniment to the next dessert. Though I know at some tables the pecan pie is a staple, it has never been one at ours. But I'm a sucker for those mini one bite pecan pies, someone is always bound to bring them into work. 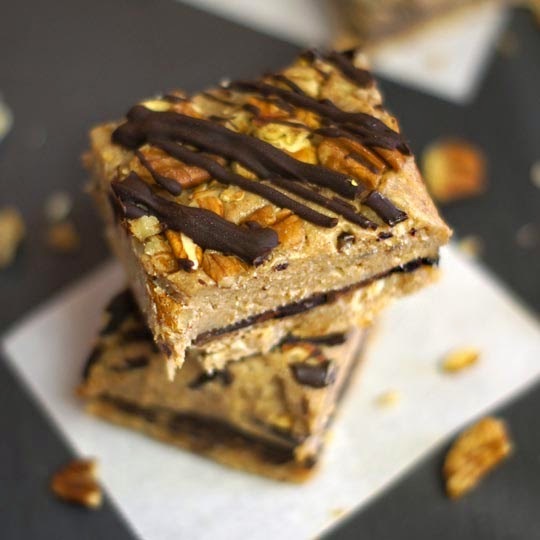 These No Bake Pecan Pie Bars sounds like a great alternative. Martin and I will be traveling to his family for Thanksgiving this year, but I still plan on trying out each of these recipes back at home for us, because you can't go wrong with food like this this time of year. And if it's the clean eating version, all the more reason to indulge! Do you have anything special planned for your Thanksgiving Table this year? My mom LOVES green bean casserole, so I'll have to share that recipe with her! I'm in charge of bringing/baking the pumpkin pie because I'm one of the only people that eats it. 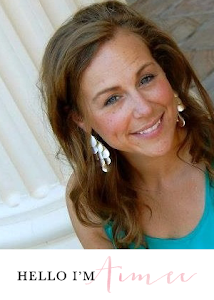 These all are great options for a healthier holiday - thanks for sharing! This is so great! I've slowly been making changes in my diet by trying to eat cleaner but I figured the holidays would just wipe that all out. Nice to know it doesn't have to! 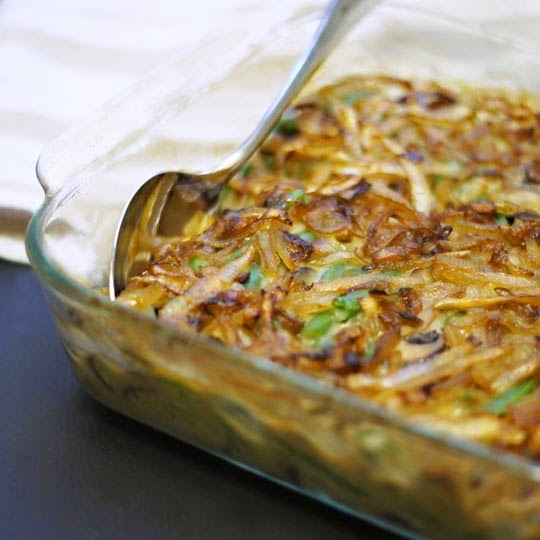 Definitely trying the green bean casserole - I just can't bring myself to use cream of mushroom anymore! YUMMY! Those rolls look amazing! I can't wait to give them a try! I know, I'm excited to give these versions a try. There is always a better options, stay strong through the holidays!! That's funny, it goes that way in my family too. There are only a few of us who eat the pumpkin pie, just doesn't seem right! My sister is obsessed with the traditional green bean casserole, I wonder if this healthier version would fly with her?! The alternatives look just as good as the unhealthy version! I would totally swap some of that pumpkin ice cream for pie! The ice cream looks amazing! That pumpkin ice cream sounds amazing! Yum! I'm thinking it would be so good on some pie or cake! Right?! I'm hoping over the long weekend I'll have a chance to give it a try!